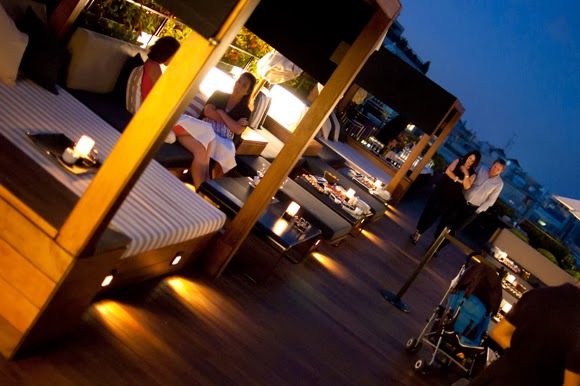 Bacon on the beech: La Isabela Terrace, Barcelona. Does it have a pool? You know that annoying advert where a couple inadvertently find themselves dropped into a swimming pool whilst looking for a Barcelona hotel room? Well I always think that it's this one. We couldn't afford to stay at the Hotel 1898 on the ramblas, but on the first night of our stay in Barcelona this bar was exactly what I had in mind. I'd imagined sipping cocktails on a roof top terrace with views of the city on a warm summer night. 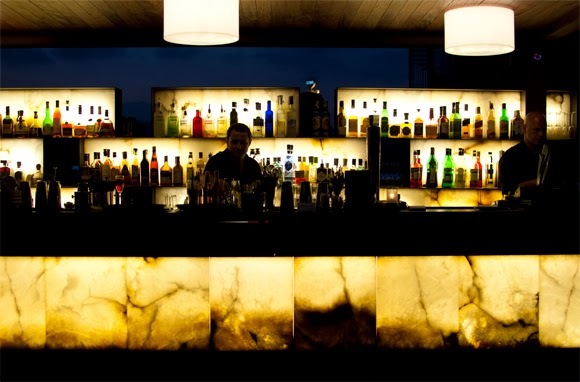 As you get out of the lift you see the beautifully lit bar and pool and the only thing you can say is wow. 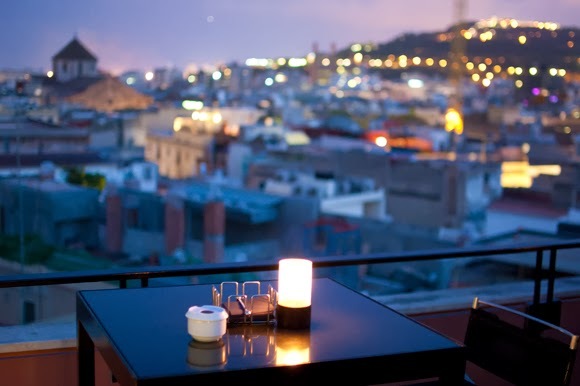 We enjoyed some fairly decent tapas and cocktails whilst taking in the breathtaking views of the city and the atmosphere. Yes this felt like we were really enjoying life. I write this in the depths of the dreadful cold and wet British winter and long to be back there. 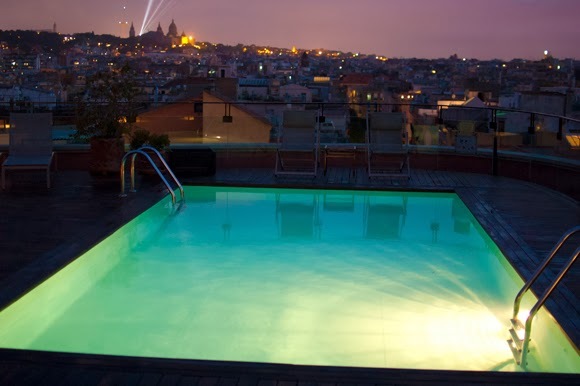 Find the Hotel 1898 on las ramblas and take the lift to the top terrace. Your posts always make me think about places I want to get back to VERY SOON! The hotel in the annoying advert is the Hotel Silken Diagonal..I was lucky enough to be at a trade show party on the rooftop years ago and recognised the pool!